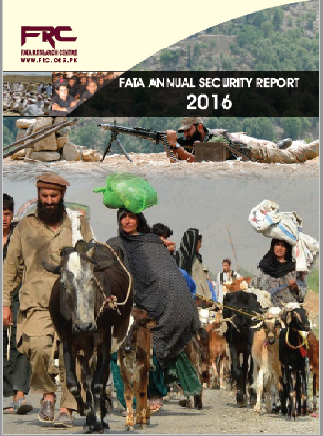 Though violent incidents continued to take place in the entire Federally Administered Tribal Areas (FATA) in 2016, there was a significant decline in such incidents as compared to the year 2015. Militant attacks, such as suicide bombings, improvised explosive devices (IEDs), ambuscades and target killings have been observed in all the seven agencies. Coupled with this, a significant number of FATA population remained internally displaced and continued to suffer the horrors of war. Consistence and determination of the Pakistani armed forces to wipe out nests and sanctuaries of terrorists have played a vital role in profoundly improving the security situation in the area. A series of military operations, consisting of ground offensive and aerial strikes, continued to target the remaining militant points in the area.